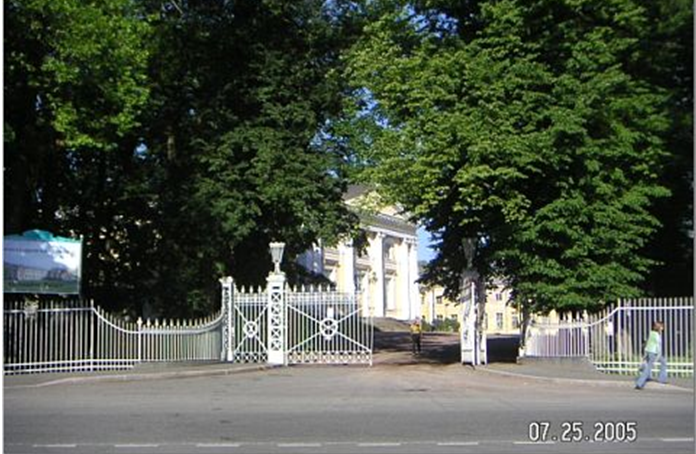 Exactly ten years ago, in July and August of 2005, I got an extraordinary opportunity for an extended stay (2 months) at Tsarskoe Selo, the town currently known as Pushkin. 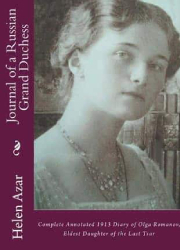 Although I wasn’t there a tremendously long time, the nature of my visit allowed me a very close glimpse of what it would be like to live and work in Pushkin, as opposed to coming there as a tourist. 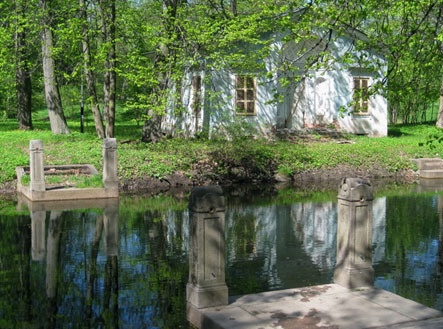 Pushkin is a relatively small town that is currently expanding. 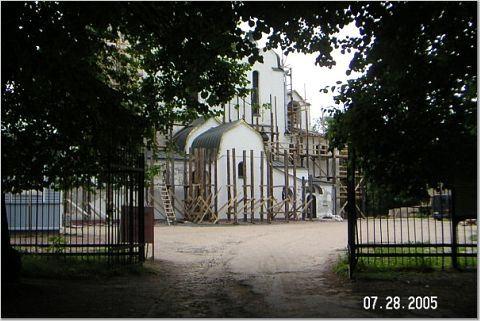 Lots of construction and reconstruction can be seen, and Pushkin real estate prices are rapidly escalating. 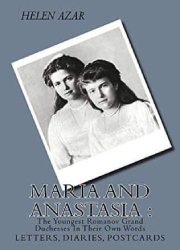 I lived on Moskovskaya and Tzerkovnaya Streets, just a few short blocks away from the gates of the Alexander Palace, and down the street from Gostiny Dvor. 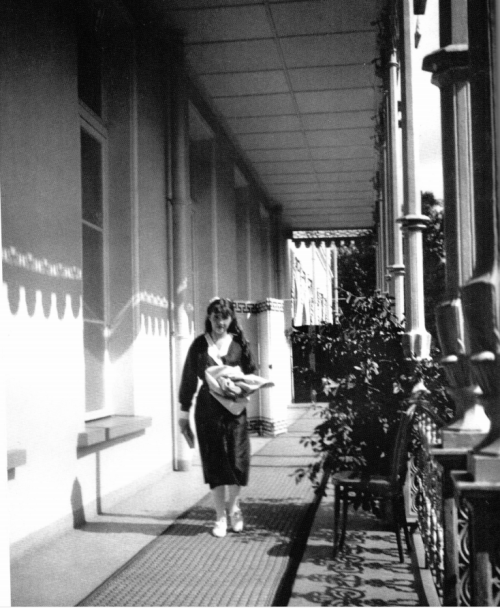 After World War II, German POWs reportedly built this apartment house (below) as well as many others in town. 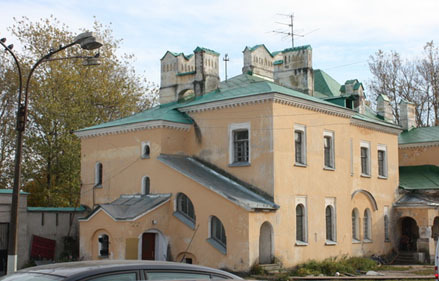 It is a three-story construction with a storefront and no elevator – more or less standard to what many Pushkinites occupy. The residential entrances are in the back (above, right). Hallways in many residential buildings like this one leave a lot to be desired, often being unkempt and unlit (below). What I found the most striking (until I got used to it) was a complete lack of landscaping around buildings – grass and weeds are just allowed to grow uncontrolled, while sidewalks are extremely bad: if you don’t constantly watch where you are walking, you will undoubtedly fall into one of numerous large potholes. 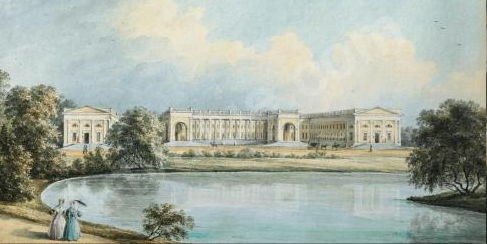 The town of Pushkin’s Gostiny Dvor is a smaller version of its namesake in St Petersburg. It is the Russian version of a strip mall, with individual stores occupying separate sections of the building, and an outdoor farmer’s market inside the courtyard. 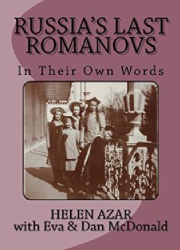 At first glance, Gostiny Dvor looked sort of abandoned – with a strong need of renovation, but turned out that even the shabbiest storefronts were occupied. I had come across this over and over in Russia – cosmetically presentable storefronts are evidently optional and lack of renovation doesn’t get in a way of running a business (or living in a private residence). 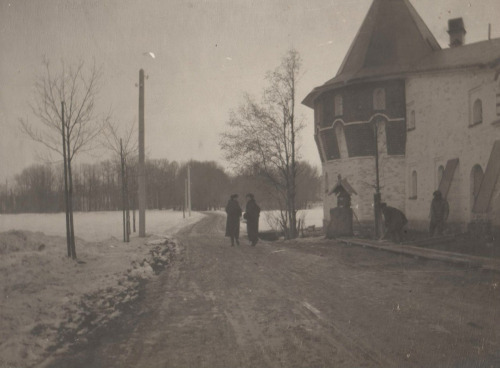 Gostiny Dvor in Tsarskoe Selo at the turn of the 20th century and today. Entrance to the Tsarskoe Selo Market (in the courtyard of Gostiny Dvor), and inside the market (right). The market is open 7 days a week. In the Tsarskoe Selo Market one can buy everything from watermelon to shoes, and this was where I did most of the shopping during my stay in Pushkin. Although Russians love animals and many are pet owners, numerous stray cats and dogs roam the streets. Sadly, the general consensus seems to be that only purebred animals should be kept as pets – the rest stay in the streets. Neutering and spaying is not common. Above: one of many of the town’s stray cats and dogs who live around Gostiny Dvor and feed off the refuse from the market. The location I lived in was within walking distance of most historical places of interest and I did a lot of walking around town. Although by the end of July the “white night” season is over, summer days in St Petersburg and its suburbs are long – it doesn’t start getting dark until about 11:00 or 11:30pm. 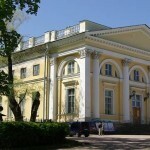 One of the first places I visited was the small History Museum of Tsarskoe Selo, located on Leontevskaya Street. 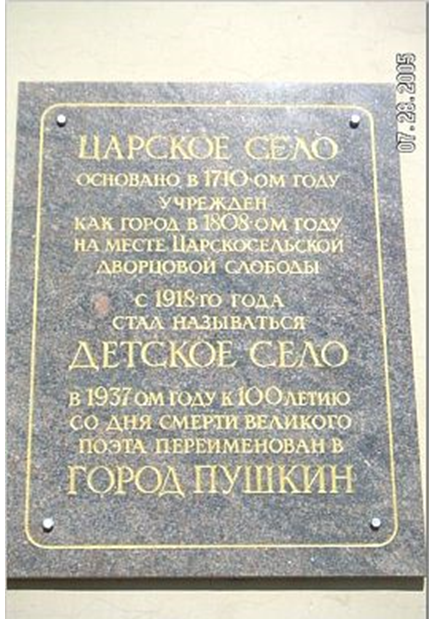 Plaque at the entrance of the Museum of Tsarskoe Selo reads: “Tsarskoe Selo: Founded in 1710, officially established as a town in 1808. 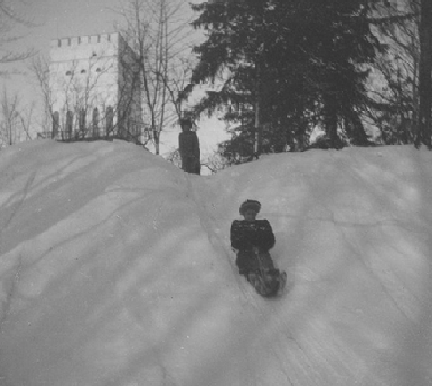 From 1918, known as Detskoe Selo (Children’s Village). 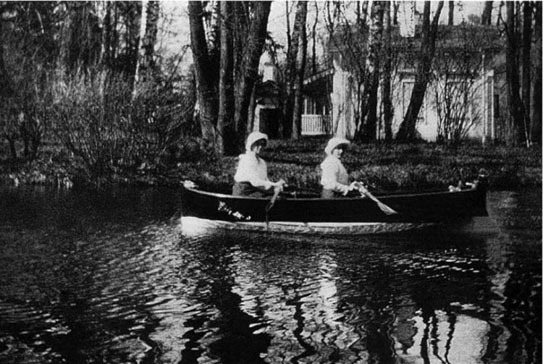 In 1937, at the 100th anniversary of the death of the great poet, it was renamed the Town of Pushkin”. 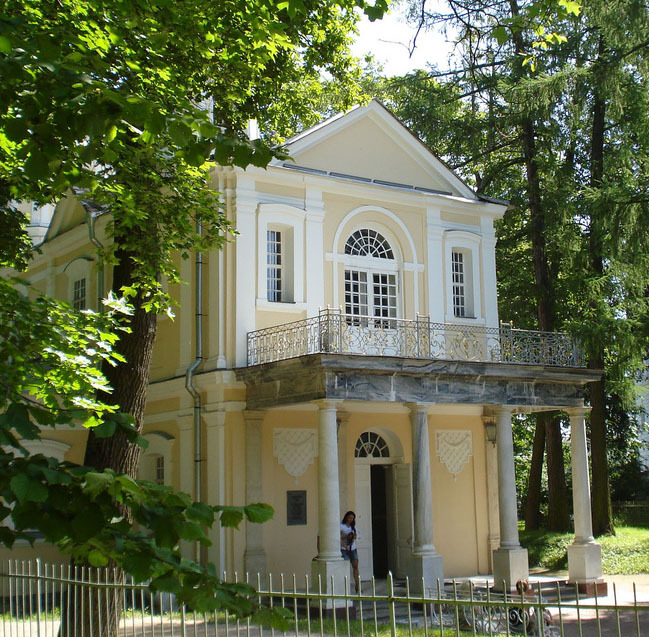 Although the Museum of Tsarskoe Selo is not the most prominent or well known of Pushkin’s museums, it offers many gems for those who want to learn more about the town’s history. The staff is extremely knowledgeable and helpful, and can provide answers to many questions about their town. 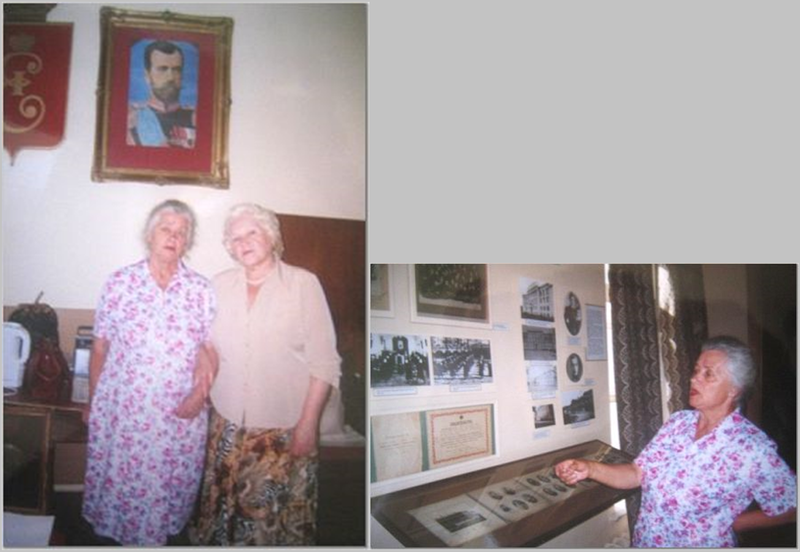 These ladies, both very knowledgeable Pushkin natives, work as guides as well as guards at the museum to supplement their pensions. 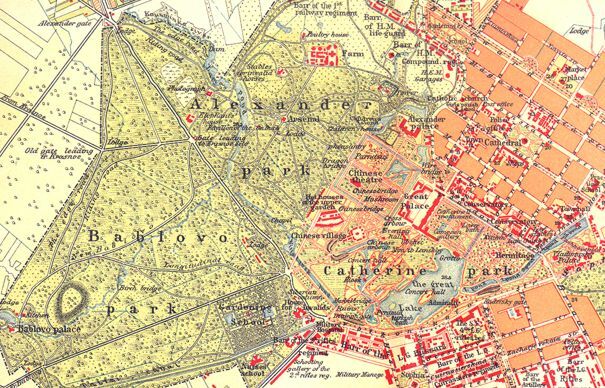 The Alexander Palace, only a five minute walk from my flat, is located on Dvortzovaya Street, where Malaya and Srednia Streets both end. 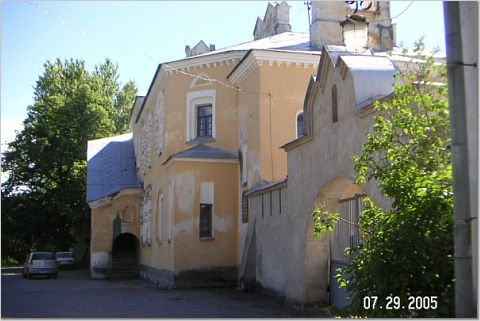 Walking south from Malaya onto Tzerkovnaya, you pass a house that today is the Justice of the Peace office. This house is officially known as the Tepper de Ferguson House. 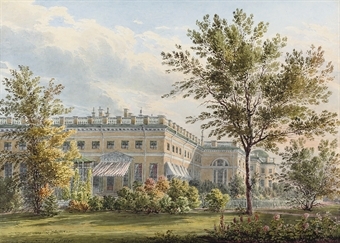 De Ferguson was a music instructor at the Imperial Lyceum in the early 19th century (more about the Imperial Lyceum later). 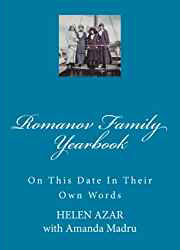 One of the Lyceum students who visited him there was the young Alexander Pushkin. 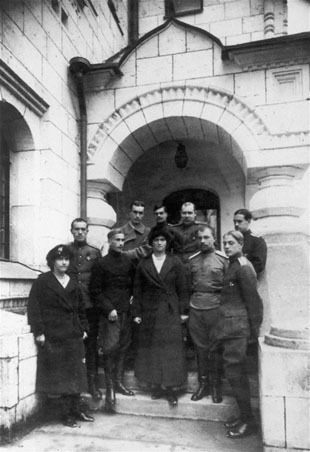 Anna Vyrubova’s house prior to the revolution. 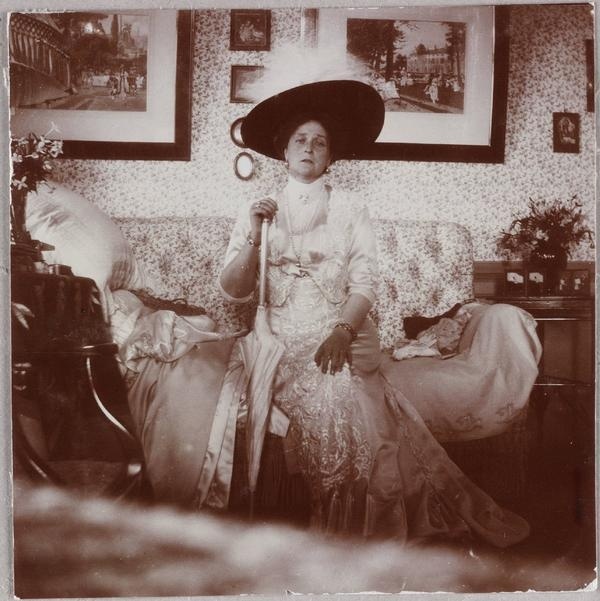 The Empress inside Vyrubova’s house. Weddings are almost a daily occurance at Anna Vyrubova’s former house, now Justice of the Peace office. 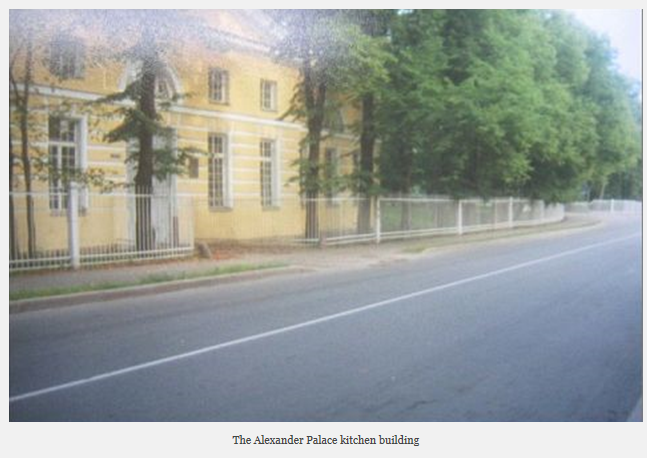 Walking a bit north on Dvortzovaya Street will take you past the pre-revolutionary Alexander Palace kitchens, currently reportedly leased as independent workshop spaces. 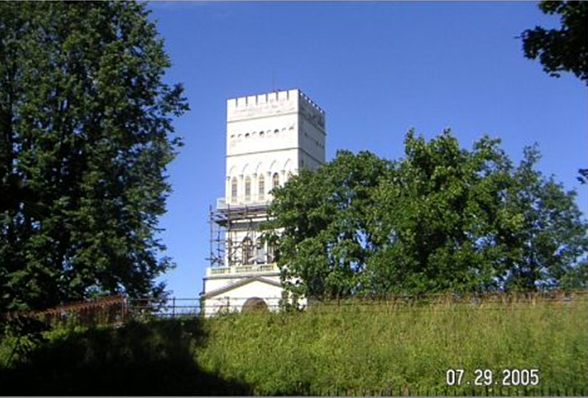 And just about 100 feet down the street is the Alexander Palace gate. 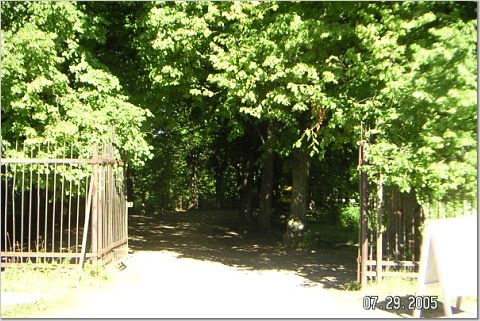 Below is the original pre-revolutionary gate that was used by all those entering the park or the palace, including the Tsar and his family. 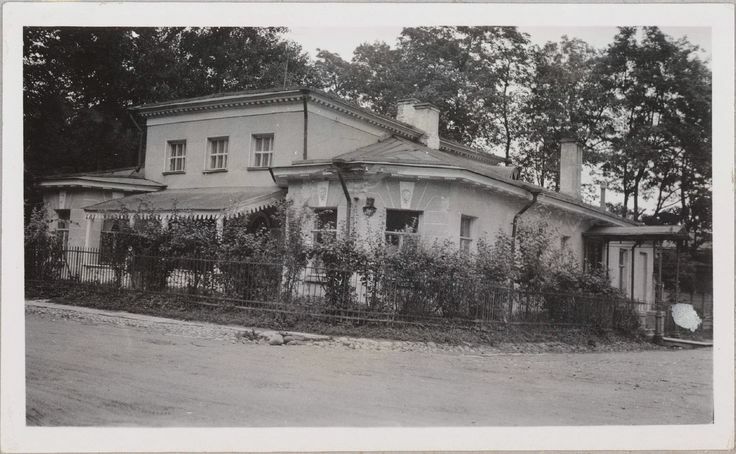 Also below are some photos of the Alexander Palace exteriors and the surrounding area, then and now. 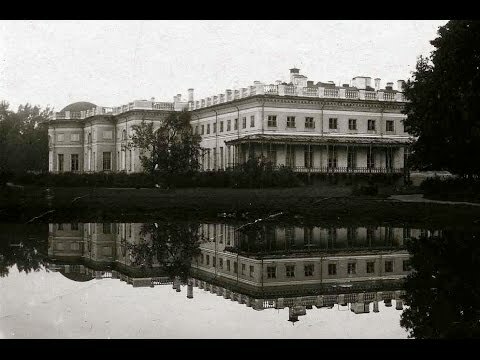 Alexander Palace in early 20th century, with the balcony added by Nicholas and Alexandra. 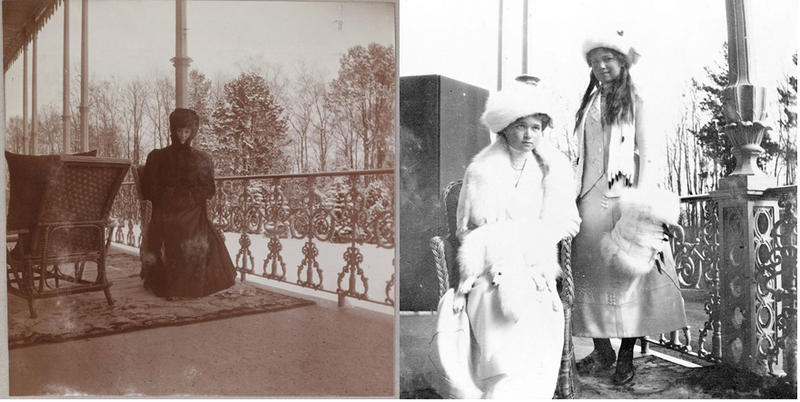 Below are some photographs of the imperial family on the Alexander Palace balcony, which they used year rounds, especially the Empress. 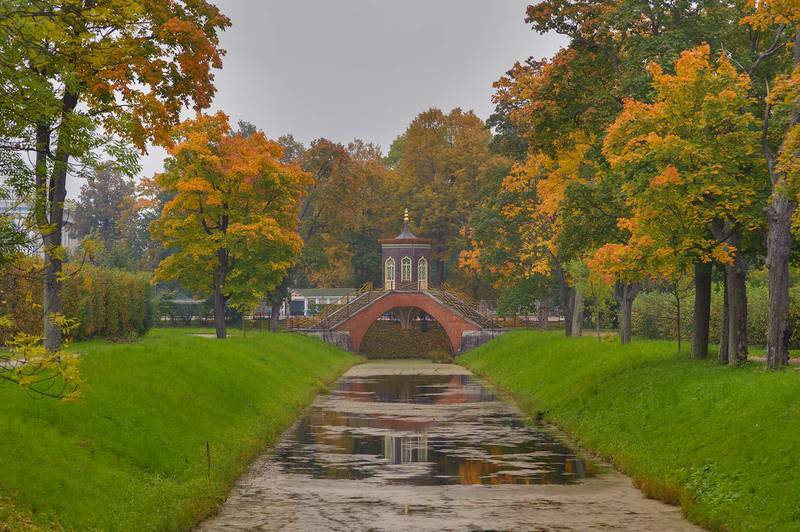 Around the palace is a large park, with various structures and canals. 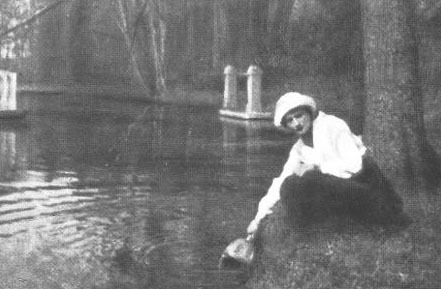 Grand Duchess Tatiana posing at the canal. 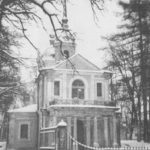 Znamenie chapel, where the imperial family prayed daily. Modern view of the Tower. 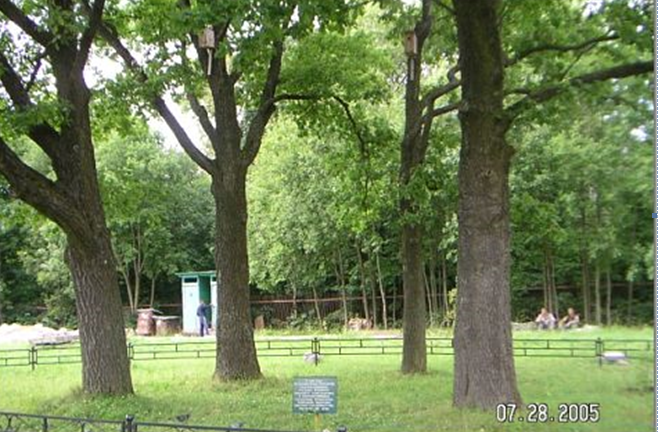 I found the Alexander Park to be more fascinating than even the palace itself, because not much had changed in the park since the revolution. 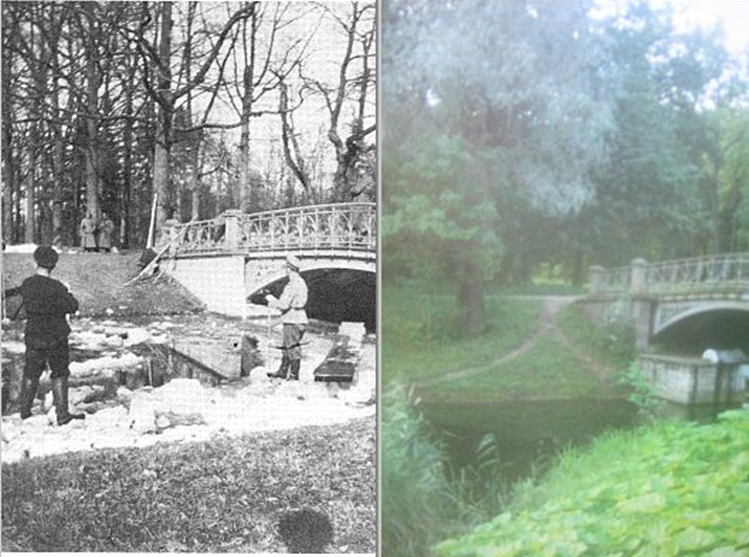 Many areas are recognizable from pre-revolutionary photos, and it was interesting to see what they look like today. 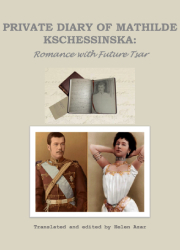 Tsarevich Aleksei in the back of the Alexander Palace. 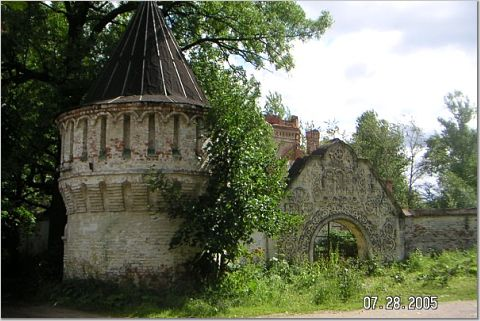 This part of the palace was not yet restored 10 years ago, but is in 2015. 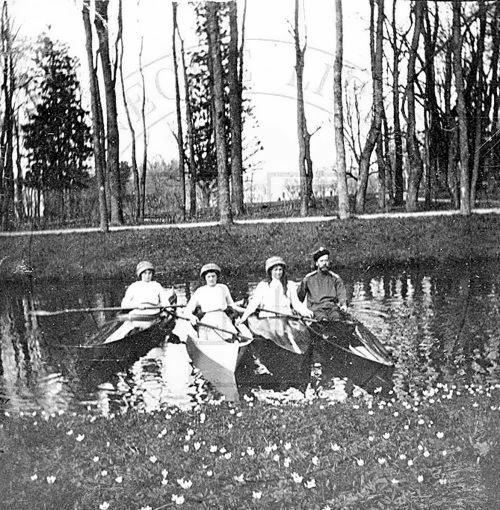 Across the park, down the path from the Alexander Palace is Feodorovsky Gorodok, a tiny pseudo-town built by Nicholas II in the first decade of the 20th century as an attempt to return to the original Russian architecture and culture. 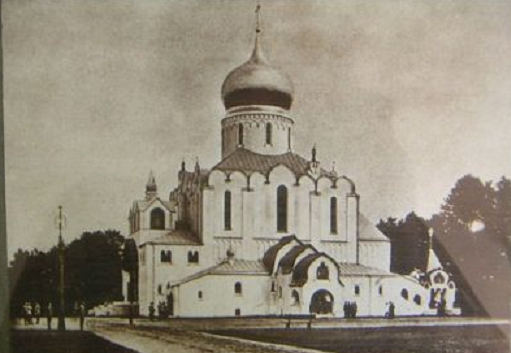 Nicholas, in complete contradiction to his predecessor Peter the Great, loved all things Russian and had many ambitious plans for the Gorodok and the cathedral within it. 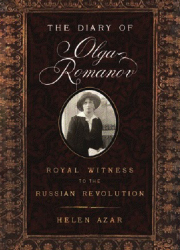 But the First World War halted his plans, while the revolution ended them completely. Currently the Gorodok still stands in ruins, almost as symbol of things that could have been but never came to fruition. I believe that restoration is planned. Despite the way it looks, this area is not abandoned: lots of things are going on inside, including a fully functioning privately owned restaurant in one of the courtyards. 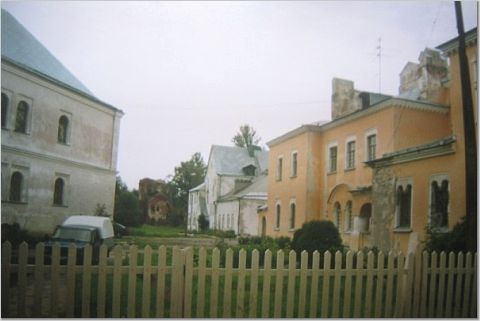 The former Grand Duchesses Maria/Anastasia’s infirmary and the buildings in the courtyard behind it have been converted to boarding rooms for the elderly who are too poor to afford housing and food. 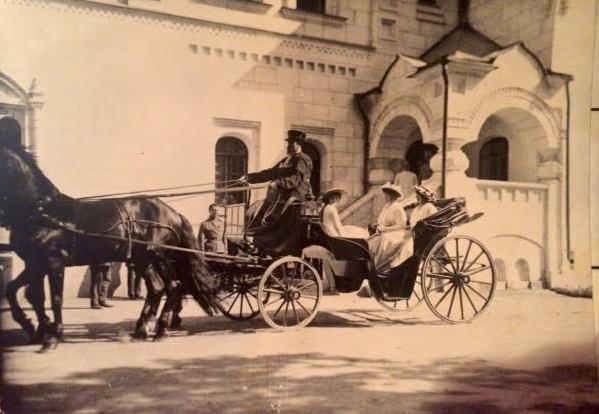 Above: Grand Duchesses Maria and Anastasia ride in a carriage with their mother in front of their military infirmary during World War I (this rare photo was courtesy of Igor Sikorsky Jr). 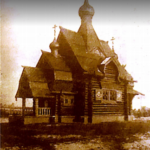 The infirmary building still stands in the Gorodok today, and hopefully will be restored in the near future. 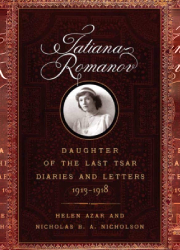 The elderly are the most destitute and vulnerable population group in Russia today. They live on an extremely low fixed income of about $80 per month, while the inflation rate is very high. A loaf of bread now costs about 80 cents (as opposed to last year when it was still less than 30-40 cents). Since bread is one of cheapest food items available in Russia and is a staple in the Russian diet, this is very bad news for the pensioners. Reportedly, virtually no state funded programs exist to assist the elderly, and unless they have children or other relatives who can provide financial help, they are on their own. It is difficult to imagine how some of them survive. 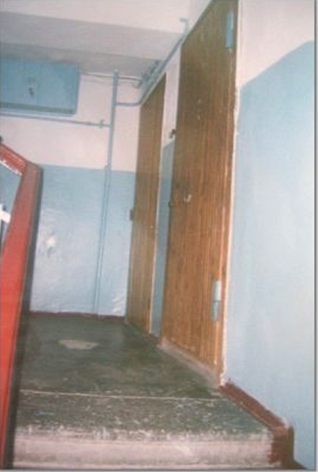 Inside the Gorodok complex, where some of the rooms for the poor elderly are located. 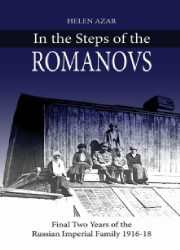 The Feodorovsky Cathedral provides housing and meals to only a fraction of these people, but space is limited and it is extremely difficult to get in. For each elderly person who was lucky enough to get room and board at the Gorodok, there are thousands who are in need of the basics. Medical care is likewise very expensive, and while free clinics still do exist, the treatment there is reportedly so atrocious that only those with absolutely no other choice use them. 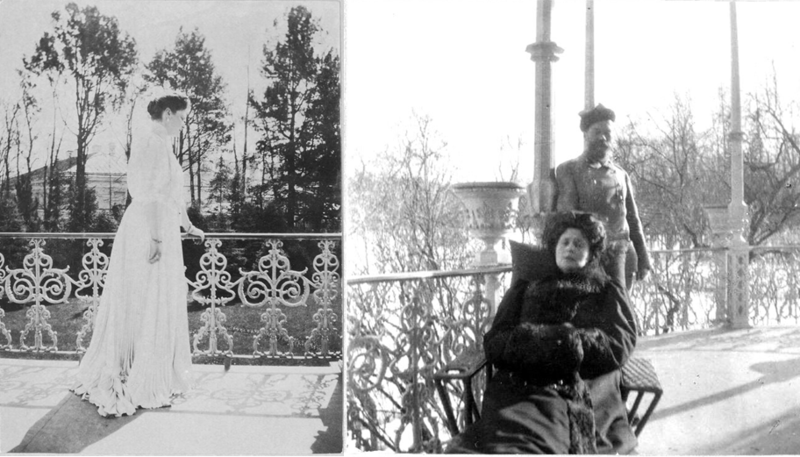 The grand duchesses in the Gorodok, near their infirmary. 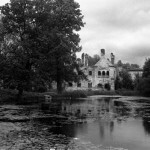 The ruins in the 21st century. 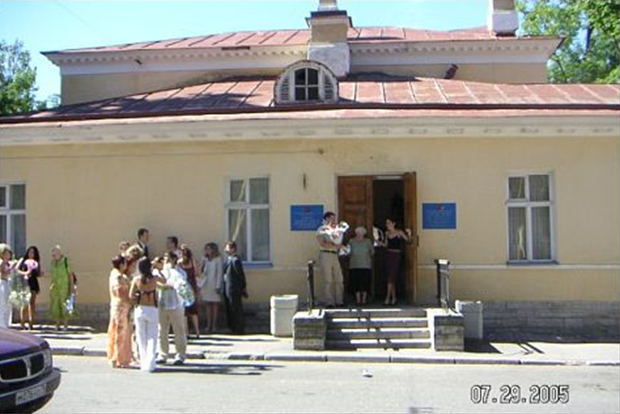 Left: entrance to the restaurant “Staraya Bashnya (The Ancient Tower)”, located inside one of the courtyards near the infirmary. Inside the courtyard (right). 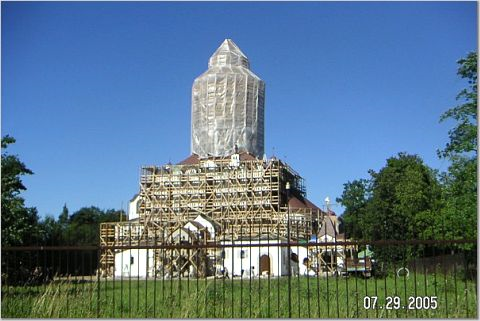 In 2005, in a short distance from the Gorodok, floating above treetops one could see a dome covered with scaffolding – the Feodorovsky Cathedral was being restored that summer! About a week later it was done. 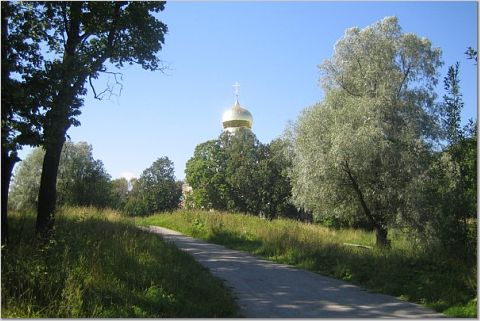 They unveiled the once-again-golden onion dome! 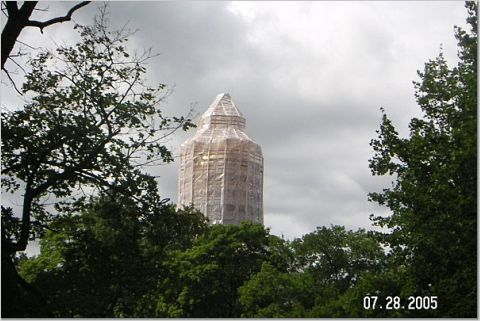 During my stay, I was able to follow the cathedral restoration progress and witness its transformation from scaffolding to gild. 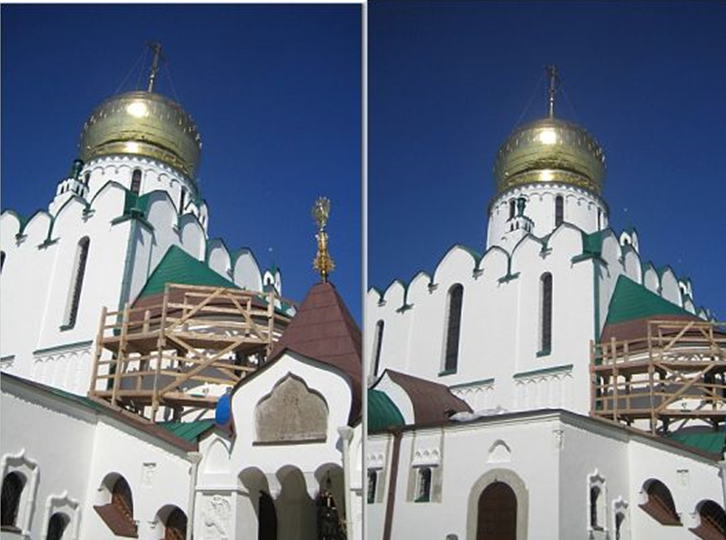 The imperial entrance to the Feodorovsky Cathedral in 1912 and during the restoration process in the summer of 2005. 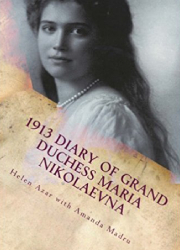 Across the imperial entrance, you encounter the Nicholas II memorial, along with the four oak trees planted by Nicholas and Alexandra in 1909. 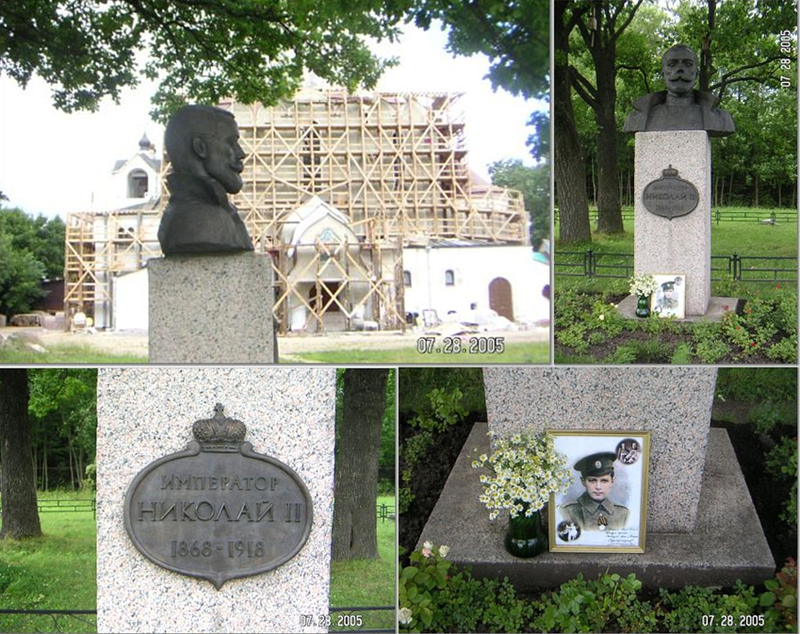 At the base of the memorial, fresh flowers are often placed next to the picture of the heir. 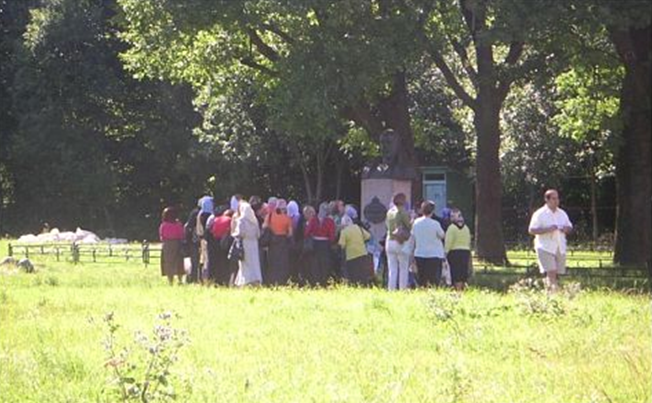 Tourists and Orthodox pilgrims alike come from all over to see the Cathedral and pay their respects to the last Russian Emperor. 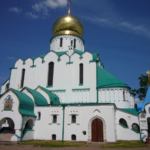 Many believe that the Feodorovsky Cathedral represents a new hope for the Russian people. 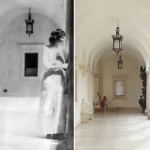 I love these beautiful “then and now” photos! It really puts things into perspective and to see where they actually walked, posed for photos, etc., how amazing!